Looking for the PERFECT Key Lime Pie? You can make your own using this easy key lime pie recipe. It has just the right amount of lime goodness and the texture is smooth and creamy! Check out the video below to see just how easy it is to make this delicious key lime pie recipe! I am craving summer. And nothing says summer to me like a key lime pie. This delicious pie is like a Caribbean vacation for your mouth. The tart key lime flavor and the smooth custard is pretty amazing. And this is the perfect key lime pie recipe. It is the next best thing to being in the Florida Keys! A key lime pie is called key lime pie for a reason. It is made with key limes. You can usually find key limes in your local grocery store. Or you can use key lime juice. I prefer Nellie & Joe’s It works perfectly every time. 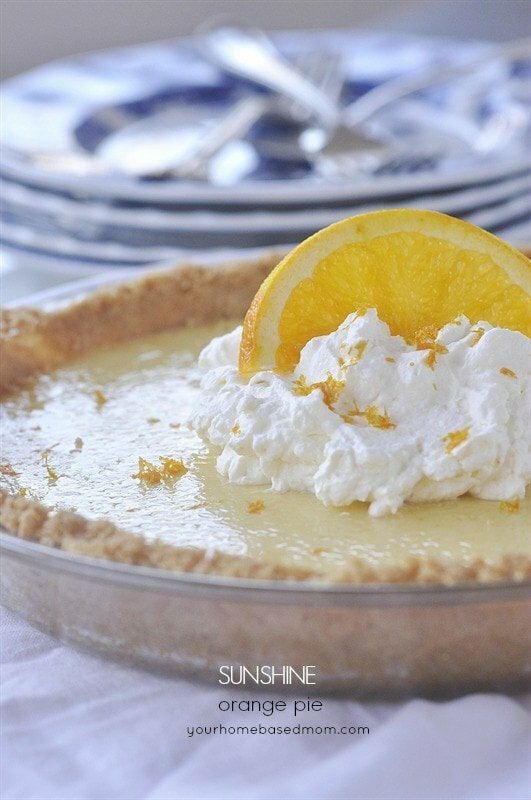 A key lime pie starts with a graham cracker crust. You can buy a premade crust at the store, but a homemade grahaam cracker crust is so much better. Just combine graham cracker crumbs, butter, and sugar. Then press it into a pie plate. And you’ve got a homemade graham cracker pie crust! It is the perfect base for a key lime pie. Once the crust is made, combine your key lime juice, with sweetened condensed milk and sour cream. Stir until it is completely combined and smooth. Then pour the key lime mixture into your graham cracker crust and bake. It only takes 10 minutes! When you see little bubbles form just underneath the surface of the pie, turn off the oven and let it sit in the warm oven for another 30 minutes. Just make sure to remove it before the pie starts to turn brown. Remove it from the oven and store it in the refrigerator overnight. The waiting is the hardest par!! But I promise, it’s worth the wait. I top the key lime pie with a little whip cream that I sweeten with powdered sugar and vanilla. Put the whipped cream in a piping bag with a large start tip to get the great border on my pie above. Then sprinkle a little lime zest onto the whipped cream and you’ve got perfection. Now just close your eyes and you can almost imagine yourself in the Florida Keys! This truly is the PERFECT Key Lime Pie. It has just the right amount of lime goodness and the texture is smooth and creamy! Bake for 10 minutes in 350 degree oven, until tiny bubbles form on the surface. Turn off oven and let pie sit in oven for 30 minutes - do not allow to brown. Wish I had a piece of pie right now. Need a taste of Spring here. Winter will not leave. Since we never did officially celebrate Greg’s birthday, this would be perfect for him. Delicious pie. Thanks so much. Interesting!!!! Thanks for sharing this!!!!! I’ve always made it with egg yolks as it says on Nellie and Joe’s bottle but this sounds great for those skirmish about raw eggs. This is my favorite dessert, only when made with the real juice. If it’s green, you know it’s not the real deal…..gotta be yellowish to know you’re getting real key limes. Yummmm!!!!! More snow is coming down right now….anywhere warm and a piece of this pie sounds perfect. Can’t wait to eat some!!! my mouth literally started watering when i saw your beautiful photos! I LOVE Key Lime Pie but have never made one before! will have to try your recipe very soon!!! It is a really easy pie to make – hope you’ll try it! This really does look like the perfect key lime pie! We went to Key West for our honeymoon and ate lots of pie like this. Thanks for the fun memory! It tastes pretty perfect to me – now I just need to get to Key West to try the real thing! Sounds like a perfect place to honeymoon! Thanks Amy! It’s pretty yummy!! I’m excited to try this… it’s sitting in my oven right now. If it tastes half as good as the batter, it’s going to be a real treat! Thank you for sharing this easy recipe! Jennifer – hop you enjoy it as much as we did!! Yum! I have to make this beautiful pie today! This pie looks amazing! I can feel the neediness of something sour right now on the tip of my tongue! Can’t wait to try it with limes instead of simple lemons. Hi Leigh Ann, This is both my middle daughter & my favorite pie. I ‘ll have to try your recipe. It looks amazing! It will be torture waiting for it to set. This looks so delicious! I am here visiting you from the SITS link up. I love key lime pie!! 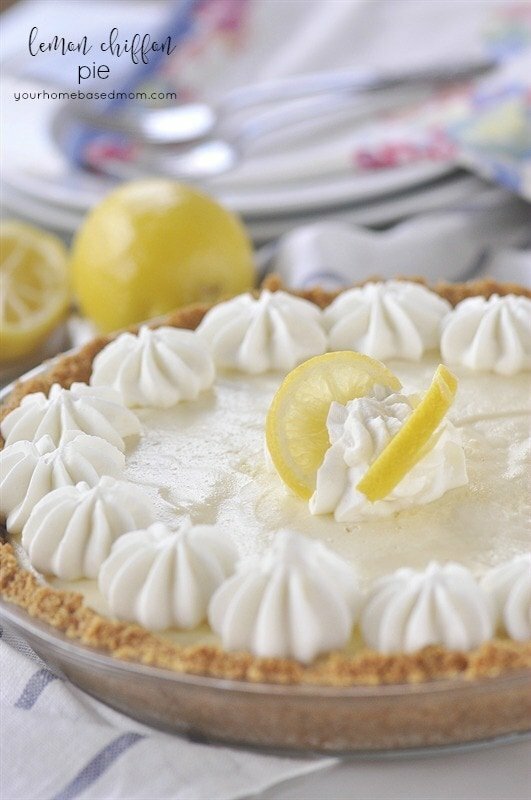 Key lime pie is one of my absolute favorites! I haven’t made it in a while so I don’t know how my recipe compares to yours but I will say the quality of the key limes makes all the difference. I have had a few turn out too bitter or sour if the limes were not right. Also, it is a pain to juice all those key limes. I haven’t tried the nellie and joe’s juice. That would save my hands! Thank you for sharing. Next time try the Nellie and Joe’s juice – it is really good and so much easier than squeezing those tiny little things!!! Enjoy! My mouth watered when I saw that gorgeous pie! It looks delicious. Pinned the recipe to try soon. Thank you! Thanks so much Marcie – key lime is the best! Just stopped at Publix and got all the stuff to make this! my first key lime pie from scratch!! yay! Finally got to try it today (after keeping it in the fridge all night). WOW it was PERFECT! I even made an extra one to give to my neighbor. Thanks for the recipe!! Just pulled our pie out of the oven; not sure we will be able to wait for it to chill overnight to enjoy! I substituted plain Greek yogurt for the sour cream. We’re looking forward to it and it was so simple to make! I made this pie for a party I attended yesterday and it was a hit! I’ve tried many key lime recipes, and have been let down having lived in Florida. This was so easy to make……I encourage you to try it, you won’t be sorry! Ruth, I am so glad it was a hit at your party. I made one for Easter today! LEIGH ANNE , I FINALLY FOUND MY DREAM KEY LIME RECIPE !!! YOUR RECIPE HERE !!! I WISH I COULD TRY IT !! THAT KEY LIME PIE YOU GET AT THE STOR, EDWARDS BRAND , I THINK, ITS OK, BUT YOURS MUST BE THE FINEST !!! I REALLY LOVE THESE PHOTOS YOU TOOK . TOTALLY PROFESSIONAL . ANYWAYS , YOURE THE KEY LIME PIE QUEEN !!! I’ve always used the recipe on the bottle of nellies, and it doesn’t call for sour cream, sounds like a good addition, plus it makes it of more substantial depth. Made this today – amazing! My husband – who isn’t typically a big key lime pie fan – told me this was better than restaurant pie (while polishing off his second piece). Kathy, I am so glad you husband loved it as much as we do! Thanks for letting me know. 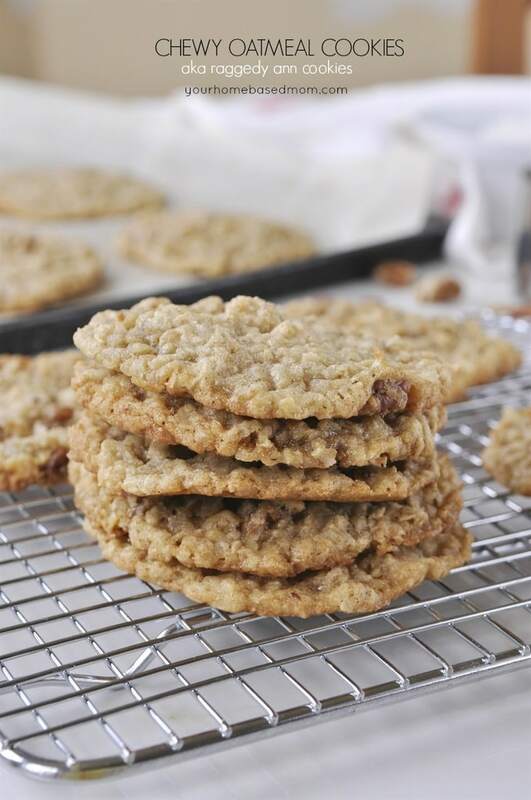 This recipe is wonderful and so easy to make! I made it for a friend’s birthday in May, and have been requested to bring two to his 4th of July bbq. I think the addition of the sour cream is what really makes it special and tempers the sweetness of the condensed milk. Thanks for sharing! Yvonne, Thanks so much for letting me know how much you enjoyed the recipe!! It’s so yummy. I have been making this exact recipe from allrecipes for years. It really is the best! We like our pie frozen for a perfect summer treat so good! Such a great recipe! It was a total hit at my house. 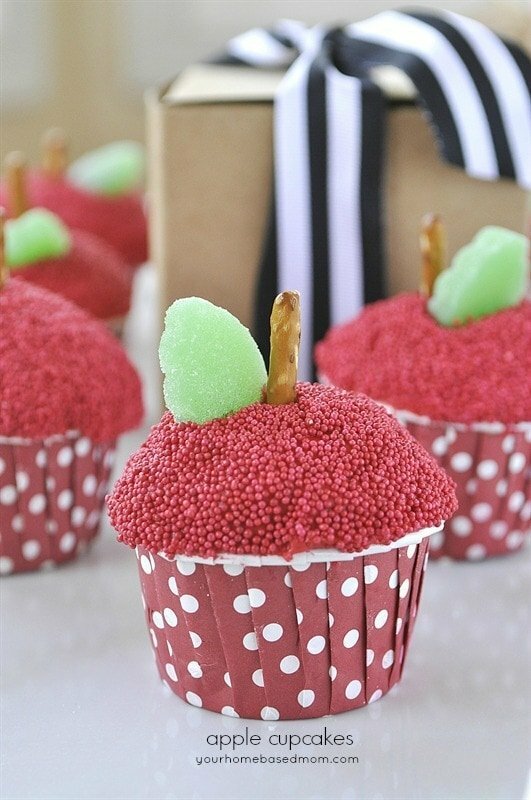 Any suggestions for making it as a mini version in a muffin tin? Ashley, So glad it was enjoyed. Should be easy enough to make in a mini version. Not sure on the baking time though – would just watch it. Hello! I made this pie two weeks ago for my father-in-laws b-day. Everyone loved it! My mother-in-law asked for me to make if for a party next weekend, but wants to serve it in small squares. Could I just double the recipe and it would fit in a 9 x 13 pan and hold as squares? Thank you! I have never done it but I think it should work! Enjoy. what is key lime juice?? Les, There are limes called key lime so key lime juice is from them. You can purchase the key lime juice at the grocery store or buy key limes and juice your own. So simple! It’s smooth and tart Perfection in a pie! Thanks Gaviel – I think it’s pretty perfect too! First Key Lime pie I ever made and it was simple and amazing. Everyone loved it! Thank you for sharing the recipe! This is a keeper! So glad it was a hit at your house too!! How far in advance can I make this? I was considering making it Wednesday for a dinner on Saturday, will it keep okay? That might be a little soon. I might try and wait another day or so. This pie is PERFECTION and so easy to make! ♡ Thanks for the great recipe! This is the first Key Lime pie I have ever made. According to my neighbors and sister it is The Best. Thanks for the recipe and all the tips. Janet, I am so glad everyone loved it too!! I wouldn’t call this the perfect key lime pie, but it was really good and very easy to make. I got a lot of compliments on it at a party I brought it to, thanks for that! One thing I’ll change next time is adding a bit more lime juice. Even though the pie batter was tart and perfect, once prepared the lime mellowed out quite a bit and the sweetness outbalanced it just a little in my opinion. I left out a little bit of sugar in the crust and it wasn’t missed at all and added some crushed pecans which added a really nice subtle crunch to the crust. Call me crazy but I prefer my Key Lime pie to look like a lemon meringue pie. I want it clear as it were and not chiffon. The recipe I use is for lemon meringue but I just substitute Key Lime for the lemon. Delish!! How much in advance could I make this? I use very much the same recipe,but use cream cheese instead of sour cream. I am going to give the sour cream a try. Key lime pie always brightens up a table. Made it today! We will see how it tastes later. Dont think my husband will wait overnight! Will it be ok if I just chill a few hours before serving? It just may be a bit softer but will just taste good. May be harder to slice. Carrie, SO glad you love it and I think it is totally doable with other juices, in fact, I was just thinking about the same thing myself this week and think I will try a lemon version. I have a 10 inch pie pan. Will that be too big? My other option is a smaller ceramic one. Which would be best to use?! Can’t wait to make it!! Thanks. Your pie will just be thinner and probably not need to bake as long. Beth, So glad you enjoyed it and I love the idea of just putting it in the freezer for 30 minutes!! I don’t like to wait!! I have made this pie a few times & I LOVE IT!!!! It was a hit at Thanksgiving last year & I can’t wait to make it again tonight! <3 Thanks so much for this amazing recipe! Is it necessary to have pie sit in the oven 30 minutes? I’ve seen a similar recipe that calls for 3 cups condensed milk but does not have pie sit in the oven after baking. The picures are beautiful! THank you! Leigh Ann, hi! If i dont have access to sour cream, which product can i use instead? Thank you! I haven’t tried it on this recipe but I often substitute sour cream with Greek yogurt. Sounds like one to try. I have a key lime bar recipe that uses animal crackers for the crust – a nice twist. Thank you for this awesome recipe!! I made this for our Easter dessert, delicious,😀This pie has the perfect consistency and flavour, loved it! Can’t wait to try this! Do you use commercial whipped cream or do you pipe a stabilized version onto the pie? Sarah, I just whip up my own whipped cream. Made for mother’s day. .my mom and family loved it! Sent the recipe to my aunt. I just made this and it looks amazing! It tasted delicious too when I was mixing it up. One question though, should I let it cool on the counter before putting it in the fridge?? Since it sits in the oven for 30 minutes with the oven off it is not real hot when you take it out so I usually put it directly into the fridge. I made this pie for my daughters’ school June Frolic and it won 3rd place for the pie baking contest!! Out of 26 pies! It was topped by a Cherry Crumble Pie (which I also found on Pinterest) and a Pecan Pie. I got such rave reviews, I’ve made 3 more since! It’s absolutely delicious!! The perfect summer pie!! I make this a couple times a year. Very easy and tastes wonderful! Matt, So glad you enjoy it too! This just became my new favorite key lime pie recipe! Silky smooth and delicious! Thank you! Hi, this is the perfect pie!! I wondered is there a way to prevent the crust from crumbling when cutting slices? Could I bake it a bit first? This turned out great. Thank you for sharing. where would I find Key limes. Can you use regular Limes? How would you make this DAIRY FREE? A couple of my children have food intolerances/allergies. My husband bought me an Edward’s Key Lime Pie from Brookshire’s (saw a comment that said yours was better than Edward’s when I googled for a copykat) and they are just drooling over it…plus it’s my new favorite dessert, especially when topped with fresh cut strawberries and a thin strip of bacon! YUM!!! I have found a recipe for dairy free sweetened condensed milk that I think might work, but what is the sour cream used for in this recipe? If you know of a good dairy free sub then you save me a step. However, knowing what it is used for will help me to find a substitute of the same nature that will provide the same property in the recipe. I’m assuming the sour creme is for texture? It may help to know that they can’t do soy either, so no tofu. -Also no wheat products…but they are usually easily subbed in these types of recipes as they are minimal. Thanks in advance! My children are anxiously anticipating this treat. I can’t wait to share it with the two who couldn’t indulge on the regular one (made with dairy ingredients). Working on my second time of making this pie. First time I used real key limes because my grocery store didn’t have Nellie and Joes. This time I found it. So far the batter tastes exactly the same so I’d say the bottled stuff is the way to go. Thanks for this crown pleasing recipe. This is absolutely delicious and sooooo easy to prepare! I made a Key Lime Pie for my mom, her favorite, last year and actually squeezed the key limes! Never again! My husband, who is a pound cake guy, requested this for his birthday! Thank you for sharing the recipe! Made this today and it came out wonderfully!!! Thank you so much for the new favorite treat!!! I found a 1lb bag of key limes on sale for a $1.99 so I made this pie for dessert. Super yummy and easy. Thanks for the great recipe. I might try a gingersnap crust and lemon juice next time to mix it up. Elizabeth, So glad you loved the pie. I tried a gingersnap crust once and found the flavor a little overpowering to the lime of the pie but you may love it. Hi! Do you leave the oven door closed or open after it has baked for the 10minutes? Thanks! This pie came out really well! 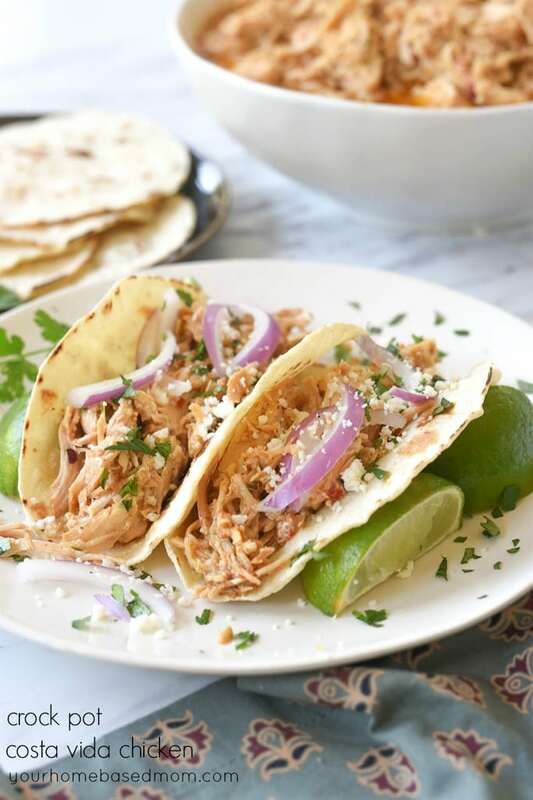 Next time I’d add just a little more lime juice for a stronger lime flavor but other than that this recipe is perfect!